Now an adult, Christopher Robin lives in London with his wife and daughter. He has lost all of the joy he had as a child and is so work-oriented that he has begun to neglect his family. Meanwhile, in the Hundred Acre Wood, Robin's old pal Winnie the Pooh has just woken up from a long sleep and can't find his friends. 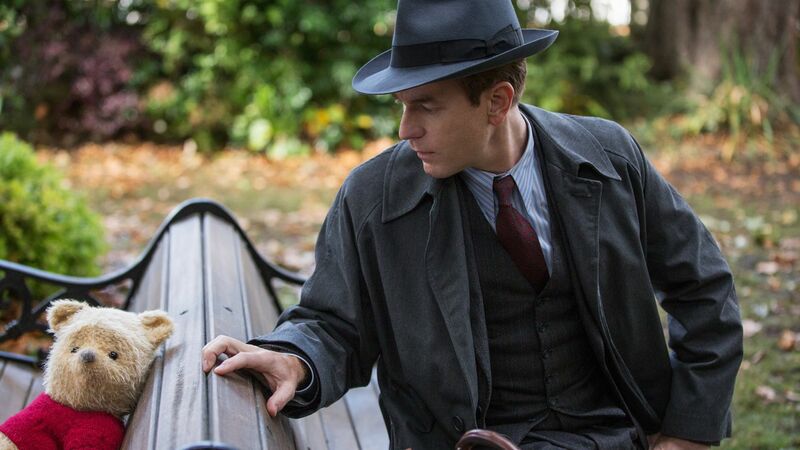 He seeks out Christopher Robin for assistance, but in return, helps Christopher rediscover his inner child. We have loved Winnie the Pooh since we were kids so we may be a teensy bit biased whenever a new film featuring Pooh and friends gets released. "Christopher Robin" is directed by Marc Forster, who has directed films like "Finding Neverland," "The Kite Runner," and "Monster's Ball." 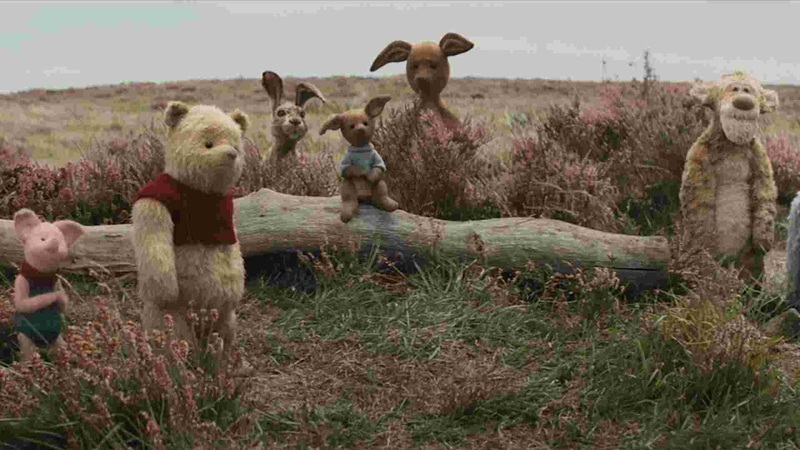 As a kid, Christopher Robin (Ewan McGregor) used to play in the Hundred Acre Woods with his friends Pooh (Jim Cummings), Piglet (Nick Mohammed), Tigger (Jim Cummings), Eeyore (Brad Garrett), Rabbit (Peter Capaldi), Kanga (Sophie Okonedo), Roo (Sara Sheen), and Owl (Toby Jones). Since the day he left for boarding school, Christopher's life has shifted towards work. All grown up, Christopher Robin now works in the efficiency department of a luggage company and works so much that he is forced to sacrifice time with his wife Evelyn (Hayley Atwell) and their daughter Madeline (Bronte Carmichael). His current task is to find ways for his company to become more efficient and make more money. When Madeline uncovers some of her father's old drawings, it suddenly awakens Pooh, who needs help finding all his other friend who seems to have disappeared. Pooh travels to London and bumps into a shocked and startled Christopher Robin, who agrees to help Pooh find his pals. 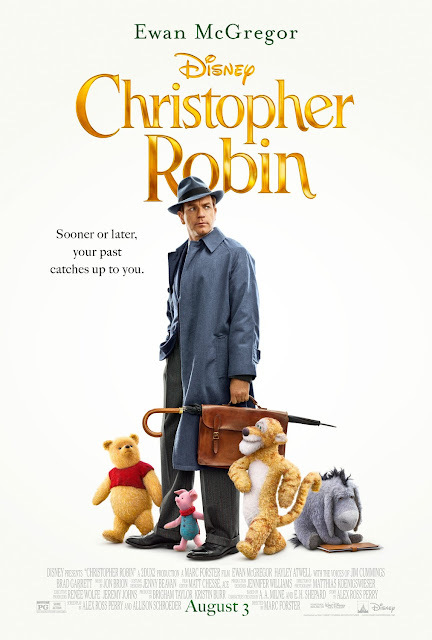 Throughout their time together, Christopher Robin starts to rediscover the childhood he left behind and begins to reconnect with what is really important in life: his family. If we had to describe "Christopher Robin" simply, it has the premise of "Hook" mixed with the tone and feel of "Finding Neverland." This is a movie about a workaholic learning to find his inner child again and beginning to reconnect with his family, though it is presented a bit more like a period piece. There is an undeniable nostalgic joy when we watch any movie (animated or otherwise) where Winnie the Pooh come to life on the screen in front of us. Hearing the Winnie the Pooh song tinkering in the background, hearing Pooh speak his funny, little sayings, or listening to Eeyore lament over how he is neglected when he really isn't, all of these things make us smile. Jim Cummings has been doing the voice for both Pooh and Tigger for over 20 years, and he hasn't missed a beat in all that time. His voiceover performance is exceptional, as is Brad Garrett's a newcomer to the voice of Eeyore. When we saw the trailer for this film, we were a bit worried about the design of the Hundred Acre Wood pals. Luckily, their stuffed animal-like appearance comes to life in a wonderful, fully realized way. These characters look a bit more like the ones from the original drawings from the book series by A. A. Milne with just a hint of the Disney touch-ups and trademarks. The story here is a simple and predictable one. It definitely follows a specific "feel-good movie formula," but it provided us with a mostly positive viewing experience nonetheless. While I did like this movie, it's obvious that BigJ liked it a skosh more than I did. I feel like I eye-rolled just a little too hard at the end of the film, mostly at how Christopher Robin comes to his ultimate decision at his job. It's a little too soulless and corporate for my taste, but then again, look at the company who made this film. Its alternate title should be "Merchandising!" 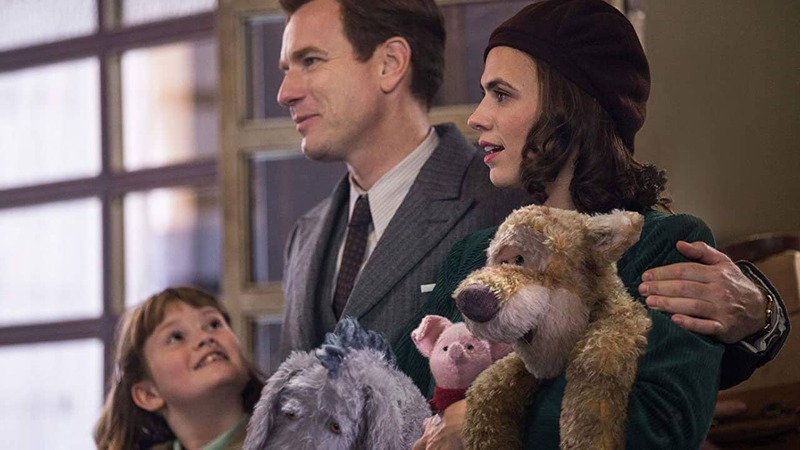 "Christopher Robin" may lack a lot of emotional oomph because it is so generic where its story is concerned, but we can't deny that we had a pleasant viewing experience watching this feel-good family film.